The U.S. birth rate fell to a record low last year, driven by a decline in the number of babies born to immigrant women, who have led the growth in the nation’s population for at least two decades. The country’s birth rate fell 8 percent from 2007 to 2010, according to a Pew Research Center report. The rate dropped 6 percent for U.S.-born women and plummeted 14 percent for foreign-born females since 2007, the onset of the worst economic downturn since the Great Depression. The decline continued last year to the lowest point since records began in 1920. The study, released yesterday, underlines the vulnerability of Medicare and Social Security, the two largest social- insurance programs for the elderly. Both are funded by payroll taxes on working-age adults, and both are expected to fuel the U.S. budget deficit as baby boomers retire and fewer workers replace them. The Pew study, based on data from the National Center for Health Statistics and the U.S. Census, found that the 14 percent decline in the birthrate for foreign-born women was greater than in the entire period between 1990 and 2007. The birthrate among Mexican women in the U.S., the nation’s largest immigrant group, fell 23 percent. The birth rate is defined as the number of births per 1,000 women ages 15-44. The report doesn’t try to explain why births among Hispanic and other immigrant women fell so much, though the study’s author said it’s linked to economic distress. The U.S. birth rate in 2011 was 63.2 per 1,000 women of childbearing age, according to preliminary numbers. That’s down by almost half from a peak of 122.7 in 1957 during the postwar baby boom. The rate steadily fell before stabilizing at 65-70 births per 1,000 since the 1970s. White, non-Hispanic women made up two-thirds of U.S. births in 2010, a drop from 72 percent in 1990. Eleven percent of births among U.S.-born women were to teen mothers; about 5 percent of foreign-born mothers were teens. Women older than 35 were responsible for 21 percent of births by immigrant mothers, and the older mothers made up 13 percent of births among U.S.-born women. Immigrants accounted for 33 percent of all births to women over 35, the study found. The ranks of Social Security recipients are swelling as baby boomers, those born between 1946 and 1964, begin to leave the workplace. About 10,000 baby boomers are turning 65 every day, according to a 2010 Pew study. Some 32.6 million U.S. households, or 28 percent, reported Social Security income in 2011, according to the Census Bureau’s American Community Survey. The $773 billion program’s coffers have been depleted by a payroll tax cut in effect for the past two years. Social Security trustees estimated in their annual report released in April that the cut, which reduced the payroll tax to 4.2 percent from 6.2 percent, cost taxpayers about $112 billion this year. The tax break for 163 million workers is scheduled to expire at the end of the year. The trust funds used to pay retirement, disability and survivor benefits “will be exhausted” in 2033, the program administrators said in their report. The demographic trends aren’t promising, trustees said. In 1965, 81 million workers paid for benefits to 20 million people, a 4-1 ratio. The ratio has fallen to 2.8 workers per retiree and is expected to drop to two workers for every beneficiary by 2035, with 186 million workers paying for 91 million retirees. Medicare, the nation’s health-insurance program for about 50 million elderly and disabled people, is in worse shape. The trust fund for that program is slated to run dry in 2024, its trustees said in an April report. The size of the two programs makes them potential targets for any deficit-reduction agreement designed to avert the fiscal cliff, the more than $600 billion in tax increases and automatic spending cuts set to start in January. In its 2010 draft report, the National Commission on Fiscal Responsibility and Reform, led by former U.S. Senator Alan Simpson, a Wyoming Republican, and former Clinton White House Chief of Staff Erskine Bowles, urged Congress to reform Social Security by raising retirement ages and Medicare by capping costs to make them sustainable. Even with a decline in the birth rate, Andrew Biggs, a resident scholar at the Washington-based American Enterprise Institute, said “a temporary blip wouldn’t be an enormous difficulty. The increasing number of women who have become primary breadwinners for U.S. households has risen because of the recession, Fishman said, and has meant more women are deferring having children. Even so, he said, a healthy economy doesn’t guarantee high birth rates. In Japan, where one in four people will be 65 or older by 2015, birth rates began dropping when the economy began booming in the 1970s. Livingston, the Pew study’s author, said the decline in fertility probably will slow as the economy rebounds, though rates won’t climb back to the historic highs of the middle 20th century. Tens of thousands of Americans are tracking the allegations of a “cover-up” in the Department of Justice’s “Fast and Furious” scandal under Attorney General Eric Holder, according to members of Congress who have been holding hearings on the issue. Members of the House committee that this week held a hearing for members to quiz Holder on the progress of the investigation say nearly 14,000 Americans logged online to watch the hearing live, nearly 18,000 followed up with visits to FastandFuriousInvestigation.com, and almost 8,500 viewed a diagram of what is suspected to have gone on. Further, there were nearly 20,000 views of hearing-related videos. The statements are getting testy, too. “How many more Border Patrol agents would have had to die as part of Operation Fast and Furious for you to take responsibility,” U.S. Rep. Ann Marie Buerkle asked Holder during the hearing. Her questioning noted that someone needed to be held responsible, and she alone had gotten 30 questions from her district just that morning from constituents who wanted to know what happened and why – and who would be held liable. The program had federal authorities telling gun dealers to sell weapons to individuals who then took them to Mexico to be used in that nation’s internal drug cartel war. The idea was that the weapons would be tracked and arrests made at the top levels. However, from information that’s available, the government essentially lost track of most of the 2,000 or so weapons that were involved in the program. Some of them later were found at the site when Agent Brian Terry was murdered. Buerkle noted that the agent’s family, testifying previously before Congress, had wanted to know if the search for those responsible would track them down – and then would they be charged with facilitating the murder of a federal agent. Holder said it was an issue that was being addressed. Holder’s testimony failed to convince fully members of the committee, as they alleged he was continuing the cover-up of the problems. Republicans on the House Committee on Oversight and Government Reform, led by chairman Rep. Darrell Issa, R-Calif., pointed out that Holder and the Department of Justice were still withholding 93,000 documents. They suggested the committee may need to issue a subpoena to obtain the withheld records if the DOJ refuses to comply voluntarily. 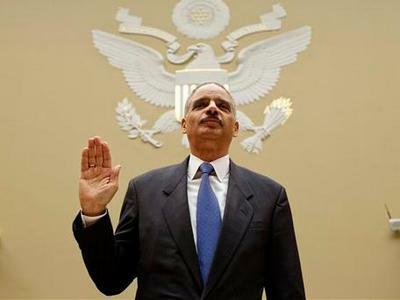 In testimony, Holder admitted that no DOJ employee had been reprimanded or otherwise admonished for their participation in Fast and Furious some 13 months after Terry was killed in Arizona by Mexican drug-war operatives using guns that traced back to the gun operation. In one particularly sharp exchange, Issa accused Holder of lying about when he and top officials in the DOJ in Washington first knew about the operation that evolved into Fast and Furious under Holder’s watch. Norwegians have adopted a more positive attitude towards immigrants following Anders Behring Breivik’s attacks. 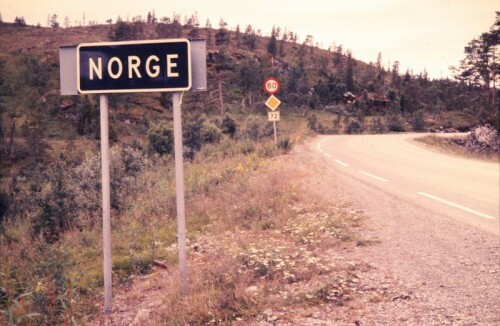 85 percent of Norwegians agreed with the statement that, “Most immigrants make an important contribution to Norwegian working life” as opposed to 73 percent before, according to Statistics Norway (SSB). According to the poll, 82 percent also concurred that,”most immigrantsenrich the cultural life in Norway”, up 10 percent from before the 22 July attacks. The largest change in opinions was regarding the assertion, “Most immigrants represent a source of insecurity in society”. Only 48 percent agreed before, but this increased to 70 percent after the mass murderer struck. Moreover, more people thought that, “Mostimmigrants abuse the social welfare system” compared with the results from 2010. Figures who this was 31 and 35 percent, respectively. SSB says there were no other significant changes in their poll, otherwise. Nine out of ten Norwegians believed immigrants should have the same job opportunities as any Norwegian, and 70 percent think that non-Nordic labour migration has a positive impact on Norway’s economy. 45 percent think that it obtaining a residence permit should not be more difficult. The results of the survey also show that women tend to think more positively towards immigrants than men. Older people between 67 and 79 are more skeptical when it comes to immigrants than people aged 16-44. Where people live also contributes to these opinions. Urban residents are more generous towards immigration and immigrants than those who live in the country. Statistics Norway’s annual survey on attitudes towards immigrants and immigration, conducted on behalf of the Ministry of Children, Equality and Social Inclusion, was carried out between 4 July and 13 August 2011. Some chafe at life under Vladimir Putin’s rule, but for many others, economic limitations are the prime motivator. Experts say the numbers have reached demographically dangerous levels. Moscow — Over a bottle of vodka and a traditional Russian salad of pickles, sausage and potatoes tossed in mayonnaise, a group of friends raised their glasses and wished Igor Irtenyev and his family a happy journey to Israel. Irtenyev, his wife and daughter insist they will just be away for six months, but the sadness in their eyes on this recent night said otherwise. Roughly 1.25 million Russians have left the country in the last 10 years, Sergei Stepashin, head of the national Audit Chamber, told the radio station Echo of Moscow. The chamber tracks migration through tax revenues. He said the exodus is so large, it’s comparable in numbers to the outrush in the wake of the Bolshevik Revolution. “About as many left the country after 1917,” he said. They don’t leave like their predecessors of the Soviet 1970s and ’80s, with no intention to return. They don’t sell their apartments, dachas and cars. They simply lock the door, go to the airport and quietly leave. The reasons are varied. Some, like Irtenyev, chafe at life under Putin’s rule, which seems all but certain to continue with the prime minister’s expected return to the presidency next year. But for many others, economic strictures are the prime motivation. With inflation on the rise, and the country’s GDP stuck at an annual 3% growth rate the last three years — compared with 7% to 8% before the global economic crisis — Russians are feeling pinched. Russian nuclear physicist Vladimir Alimov, who now works at the University of Toyama in Japan, said he couldn’t survive on the $450 monthly salary of a senior researcher at the Institute of Physical Chemistry of the Russian Academy of Sciences. The wave of emigration, which has included large numbers of educated Russians, has grave implications for a country of 142 million with a death rate significantly higher than its birthrate. A study published this year by the Berlin Institute for Population and Development called Russia a waning power and predicted its population would shrink by 15 million by 2030. 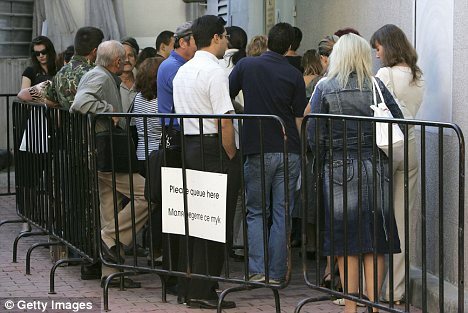 Experts believe that 100,000 to 150,000 people now leave the country annually and warn that the exodus reached dangerous dimensions in the last three years. But Valery Fyodorov, the head of VTsIOM, says the current emigration has very little to do with politics. About 20% of Russians are thinking about leaving the country and trying their luck abroad, according to various Russian polling agencies, from the independent Levada Center to the Kremlin-friendly VTsIOM. Among 18- to 35-year-olds, close to 40% of respondents say they’d like to leave. One of the few to have returned is computer engineer Alexey Petrov, who came back in 2003 after four years in Argentina. He opened an Internet cafe in Buenos Aires, only to face economic crises there. 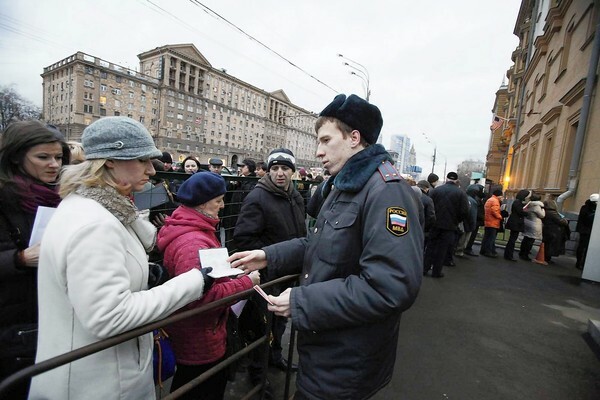 Recalling his emigration experience, Petrov, 38, cited the Russian adage “It is good where we are not” and pointed out that the whole world is afflicted with the same economic problems people in Russia are now fleeing. But politics can still intrude, with an atmosphere that can sometimes feel threatening. Take a recent day, when thousands of young people wearing the old imperial white, yellow and black flag and carrying extremist and ultranationalist posters marched the streets of Moscow screaming obscenities. Police stood aside. Even though poet Irtenyev’s wife, Alla Bossart, knows she will miss her cozy dacha near Moscow, as a former columnist of Novaya Gazeta she is well aware that in the last 10 years, five of her colleagues, including crusading reporter Anna Politkovskaya, have been killed. On the morning she left Moscow with her husband and daughter, Bossart had to return from the taxi to her already locked apartment to pick up some things she had forgotten. And then she had to go back again to switch off the light. WASHINGTON (AP) — In a twist to notions of race identity, new 2010 census figures show an unexpected reason behind a renewed growth in the U.S. white population: more Hispanics listing themselves as white in the once-a-decade government count. The shift is due to recent census changes that emphasize “Hispanic” as an ethnicity, not a race. While the U.S. government first made this distinction in 1980, many Latinos continued to use the “some other race” box to establish a Hispanic identity. In a switch, the 2010 census forms specifically instructed Latinos that Hispanic origins are not races and to select a recognized category such as white or black. The result: a 6 percent increase in white Americans as tallied by the census, even though there was little change among non-Hispanic whites. In all, the number of people in the “white alone” category jumped by 12.1 million over the last decade to 223.6 million. Based on that definition, whites now represent 72 percent of the U.S. population and account for nearly half of the total population increase since 2000. Broken down by state, California and Texas were home to nearly half of Hispanics who identified as white, followed by Florida and New York. Together, these four states comprised nearly two-thirds of the “white alone” population who were Hispanic. Overall, Hialeah, Fla.; Fargo, N.D.; Arvada, Colo.; Billings, Mont., and Scottsdale, Ariz., posted the highest shares in the “white alone” category, at roughly 90 percent or more. “The white population has become more diverse as evidenced by the growth of the Hispanic white population and the multiple-race white population,” including black-white and white-Asian people, according to the 2010 census analysis released Thursday. Some demographers say the broadened white category in 2010 could lead to a notable semantic if not cultural shift in defining race and ethnicity. Due to the impact of Hispanics, the nation’s fastest-growing group, the Census Bureau has previously estimated that whites will become the minority in the U.S. by midcentury. That is based on a definition of whites as non-Hispanic, who are now at 196.8 million. That could change, if the common conception of white were to shift. “What’s white in America in 1910, 2010 or even 2011 simply isn’t the same,” said Robert Lang, sociology professor at the University of Nevada-Las Vegas, citing the many different groups of European immigrants in the early 20th century who later became known collectively as white. He notes today that could mean a white Anglo-Saxon Protestant in upstate New York or Jews and Italians in the lowest East side of Manhattan. Roderick Harrison, a Howard University sociologist and former chief of racial statistics at the Census Bureau, agreed that growing numbers of second- and third-generation Hispanics may lose some of their cultural identity as they become more assimilated in the U.S. “Some portion might indeed become, for most social purposes, ‘white,'” he said. The latest census figures also show the number of Americans who identified themselves as partly black and partly white more than doubled to 1.8 million. For the first time, the black-white combination is the most prevalent group among multiracial Americans, making up 1 in 5 members of that subgroup. They exceed the number of multiracials who identified as being white and “some other race,” composed of mostly Hispanics, as well as white-Asians and white-American Indians. States in the South including South Carolina, North Carolina, Georgia, Mississippi and Alabama tripled their numbers of people identifying as a mix of black and white, mostly because their overall numbers are smaller. In those places, less than 3 percent of blacks identified that way — lower than the national average of 4.5 percent. In raw numbers, states that had the biggest increases in the black-white category were California, Florida, Texas, New York, Ohio and Pennsylvania. Some blacks who are partly white have been reluctant to openly embrace their white background, due to a strong black identity in their communities. Historically, several states previously had a “one drop” rule that classified whites with any African blood as black. In the 2010 census, President Barack Obama was among those who identified himself only as African-American, even though his mother was white. The share of Hispanics identifying themselves as white increased over the past decade from 48 percent to 53 percent, while the proportion of those who marked “some other race” dropped from 42 percent to 37 percent. Many Hispanics previously preferred to check the “some other race” category to express their nationalities — such as Mexican or Cuban. The Census Bureau has been examining different ways to count the nation’s demographic groups. One experiment is a possible change to the questionnaire that would effectively treat Hispanics as a mutually exclusive group. It would allow people to check off just one of five race or ethnic categories — white, black, Hispanic, Asian/Pacific Islander or American Indian/Alaska Native — rather than asking people who identify themselves as Hispanic to also check what race they are. —The multiple-race white population, including black-whites and white-Asians, increased by at least 8 percent in every state, with the biggest gains in the South. —The non-Hispanic white population declined in 15 states, mostly in the Northeast and Midwest. —The majority of blacks, both non-Hispanic blacks and those in combination with Hispanics or other races, lived in the South. About 60 percent of their total population lived in 10 states — New York, Florida, Texas, Georgia, California, North Carolina, Illinois, Maryland, Virginia and Ohio. The biggest gains in blacks over the past decade occurred in Florida, Georgia, Texas and North Carolina. —Cities with the highest share of blacks, both non-Hispanic and in combination with others, include Detroit at 84 percent. It was followed by Jackson, Miss., Miami Gardens, Fla., and Birmingham, Ala.
Labour’s open-door immigration policy drove down wages and living standards in Britain, party leader Ed Miliband has admitted. He conceded that the last government ‘got it wrong’ on border controls and said that British workers had been ‘undercut’. The bombshell confession came amid revelations that, when in power, Labour suppressed a string of damaging reports about the impact of mass immigration on the UK. At the time Labour denied claims that migration – in particular the large number of skilled Poles – was making life harder for some British workers. ‘What I think people were worried about, in relation to Polish immigration in particular, was that they were seeing their wages, their living standards driven down. However, Labour is still refusing to match the Tory commitment to reduce net migration – the difference between the number leaving the UK and the number of arrivals – to the ‘tens of thousands’. Shadow Home Secretary Yvette Cooper admitted: ‘We did get things wrong on immigration. In a separate development, the Coalition published a string of reports, which cost £165,000 to produce, which ministers claimed had been suppressed by Labour. The documents, commissioned by the Department for Communities and Local Government, revealed that immigrants from Romania and Bulgaria had low education levels and were more likely to claim unemployment-related benefits than non-immigrants or other migrant groups in Britain. Migrants from the two countries were also more likely to have four or more children than those coming to Britain from elsewhere, placing a significant strain on the education system. Housing Minister Grant Shapps said: ‘This is another disturbing cover-up by a Labour Party that failed on immigration and then tried to bury the truth.